The Dell UltraSharp UP2718Q is the company’s first HDR10 display with UHD Alliance Premium Certification. 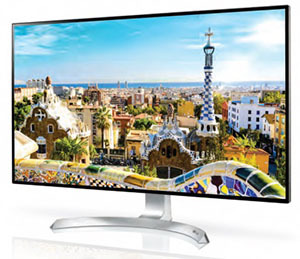 The screen boasts an Ultra HD '4K' display with 3840 x 2160 resolution, with four times more detail than full HD. This monitor allows creative professionals to view and edit HDR10 content to create incredibly realistic images. This model conforms (pretty much) to the UHD Premium standards, offering a 1000 cd/m2 peak brightness, Ultra HD resolution, 1.07 billion colour depth and a wide colour gamut covering 97.7% DCI-P3. This is contrary to some of their other recent "Dell HDR" branded screens which conform to much lower standards. It is not stated whether there will be a full array backlight or not on this screen. The UP2718Q also offers a broad, brilliant colour spectrum with Dell PremierColor – 100% Adobe RGB, 100% sRGB, 100% REC 709, 97.7% DCI-P3 and 76.9% REC2020. 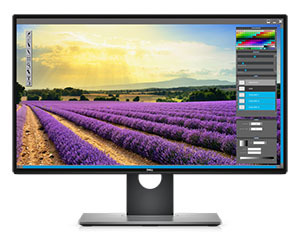 For exceptional colour reproduction, each monitor is individually factory-calibrated and users can customise the colour parameters using the custom colour mode, or make adjustments by storing the preferred colour parameters onto the internal Look-Up Table using Dell UltraSharp Calibration software with an optional colorimeter. Other specs and features are not listed at this time. The UP2718Q will be available May 23 on Dell.com in the U.S. for $1,999.99. This model should not be confused with the U2718Q which is covered in the news piece below. Getting in to the detail now, the X27 uses an AU Optronics IPS-type panel, offering a 3840 x 2160 Ultra HD resolution, along with a 144Hz native refresh rate and 4ms G2G response time spec. It is paired with NVIDIA G-sync to offer variable refresh rate support, and also allows for the use of the integrated Ultra Low Motion Blur (ULMB) feature as well. The screen uses Quantum Dot technology to offer a wide colour gamut supporting 99% Adobe RGB and its top-end HDR support is achieved with the help of a 384-zone local dimming zone backlight system for optimal performance. With a 1000 cd/m2 peak brightness it can offer a luminance range several times greater than that of traditional dynamic range monitors. By dimming the backlight behind parts of the screen displaying black, blacks appear deeper and darker on those parts of the panel, a significant bonus for people who play games with darker scenes. The chiselled diamond cut, all-metal stand is very robust to provide stability and ergonomic with adjustable tilt, swivel and height. The new displays provide wide viewing angles up to 178-degrees horizontally and vertically. Furthering comfort, Acer VisionCare with Flickerless, BluelightShield, ComfyView and low dimming technologies which may help reduce eye fatigue during long gaming periods. Predator GameView lets gamers make precise color adjustments, set up aim points for hip-fire accuracy and adjust dark boost levels for more clearly spotting enemies. Custom settings can be saved in three different profiles including action, racing and sports, for switching between scenarios at any time during gameplay. You will need a high end graphics card to power this screen, with an NVIDIA 10 series with DisplayPort 1.4 connectivity required. That alone still isn't enough bandwidth for 144Hz Ultra HD and HDR, though, with the X27 using 4:2:2 chroma sub-sampling to compress the image down when using the full 144Hz refresh rate. The X27 also features a HDMI 2.0 port, but that's limited to 60Hz. It looks from the press pics that the screen will also come with a removable hood perhaps. No word on price or release date yet, but we know that the AUO panel goes in to production in July, so expect it sometime in Q3. Update 8/5/17 - mass production is expected to start around August/September time, with availability of a review sample expected September/October at the moment, so expect retail release shortly after that, perhaps November for wide availability. We will feature a review as soon as it's available for us. Update 30/8/17 - reports suggest that the panels used in this screen and similar gaming options from Asus and AOC are delayed and won't go in to production until December 2017. That delays launch until Q1 2018 at the earliest it seems, Spring being the expectation right now. 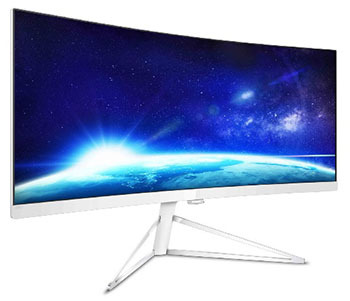 Acer have just announced their new 27" sized Z271UV screen, with a curved (1800R) format and 2560 x 1440 resolution. This model offers an Infinity Edge design and has Quantum Dot technology to boost the colour gamut to 125% sRGB (also mentioned as 130% elsewhere in the same press release). The screen is quoted as having a 1ms (3ms native) response time and an overclocked refresh rate of 165Hz. It supports NVIDIA G-sync and Ultra Low Motion Blur (ULMB). The details are a little unclear and seem to suggest in places that this might be a TN Film based screen, although they do also specifically mention a 178/178 viewing angle in the press release so it's hard to know for sure. The stand offers tilt, height and swivel adjustments and there are DisplayPort, HDMI, audio out and 4x USB 3.0 ports offered for connectivity. There are also 2x 7W stereo speakers built in, featuring 'Acer TrueHarmony' technology for dynamic entertainment effects. In addition Tobii eye-tracking technology is available and is intended to complement a traditional keyboard and mouse as the camera automatically rotates as the gamer focuses on the sides of the screen. Pairing eye tracking with mouse and keyboard or gamepad controls offers a richer, more immersive gaming experience as gamers are able to mimic actions that occur in real life, such as ducking for cover or aiming at a target. To date, there are 100 games that support eye tracking. The continuously updated library can be viewed at www.tobii.com/apps. The new display provides wide viewing angles up to 178-degrees horizontally and vertically. Furthering comfort, Acer VisionCare with Flickerless, BluelightShield, ComfyView and low dimming technologies which may help reduce eye fatigue during long gaming periods. Predator GameView lets gamers make precise colour adjustments, set up aim points for hip-fire accuracy and adjust dark boost levels for more clearly spotting enemies. Custom settings can be saved in three different profiles including action, racing and sports, for switching between scenarios at any time during gameplay. 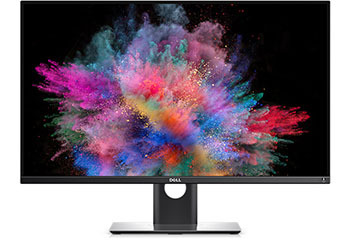 To provide a full spectrum of displays to meet the needs of customers in media and entertainment, finance, and oil and gas, Dell has also announced the Dell UltraSharp 27" 4K Monitor (U2718Q) and Dell UltraSharp 25" Monitor (U2518D), two new monitors from its UltraSharp raneg that feature Dell’s innovative InfinityEdge display. With 'Dell HDR', visuals are true-to-life with stunning colour, terrific contrast and great detail. Both monitors allow industry professionals to push the limits of productivity with an edge-to-edge viewing experience and optimised eye comfort with a flicker-free screen featuring ComfortView. 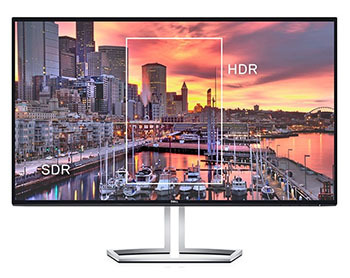 Dell HDR is not a fully fledged HDR spec, and as they put it in their marketing material: "Dell’s HDR feature has been designed with a PC user in mind and supports specifications that are different from existing TV standards for HDR. Please review the specs carefully for further details." The specs and features are not provided at the moment, but we will update this news article when we see more. Dell UltraSharp 27 4K Monitor (U2718Q) will be available mid-July on Dell.com in the U.S. for $699.99. 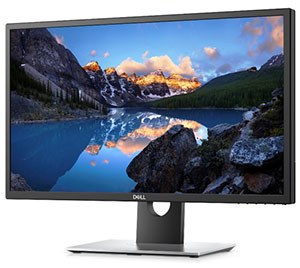 Dell UltraSharp 25 Monitor (U2518D) will be available mid-July on Dell.com in the U.S. for $499.99. Eizo today announced their new ColorEdge PROMINENCE CG3145 – a 31.1-inch sized reference monitor with DCI-4K resolution (4096 x 2160) for the professional HDR post production workflow. The name “PROMINENCE” refers to the phenomenon known as a solar prominence – a flame-like eruption which extends from the Sun’s surface. This image of the bright sun shining against the deep black of space lends to the monitor’s ability to accurately display both bright and dark content. HDR is the primary focus of this screen and it offers a very high end spec (and price to go with it). The screen will achieve 1000 cd/m2 brightness (typical) to conform to the Ultra HD Premium HDR certification standards, and will be able to achieve a typical contrast ratio of 1 million:1. Other information detailed for the CG3145 are the expected (to be finalised apparently) 98% DCI-3 coverage, which equates to 80% REC. 2020 and the 4096 x 2160 resolution which all conform to the standards as well. Eizo's press release talks about how the CG3145 will not suffer from some of the HDR drawbacks of other screens available: "This professional colour grading monitor is the first to overcome the severe drawbacks of other HDR technologies that are available in the market today – ABL and local dimming. ABL (Auto Brightness Limiter) is equipped in other HDR monitors and limits the monitor’s ability to display lighter scenes with tones over a specific range in order to prolong the device’s lifetime. This causes those light areas to appear dimmer and the colour duller as a result. Local dimming uses an area control backlight system which adjusts the brightness in sections of the screen depending on the content displayed. However, when an object on the screen falls outside of the area of the backlight that is adjusted, a “halo” effect appears, making it impossible to achieve full colour accuracy in smaller details. ColorEdge PROMINENCE CG3145 achieves a true HDR visual experience without ABL or the “halo” effect to ensure users always see accurate colours and brightness in every pixel." Their press release and spec page don't actually go in to detail about HOW they overcome those issues though. In other areas their material goes on to explain that "there are two gamma curves used for HDR video creation – HLG (hybrid log-gamma) and PQ (perceptual quantization) curve. HLG is suitable for live television broadcasting and the PQ curve approximates the human visual system in terms of colour and light perception, making it ideal for films, streaming, and other video content. ColorEdge PROMINENCE CG3145 supports these gamma curves so professional creators can rely on a monitor compliant with industry standards for HDR video." ColorEdge PROMINENCE CG3145 supports various video formats including HDMI input compatible with 10-bit 4:2:2 at 50/60p. The DisplayPort input supports up to 10-bit 4:4:4 at 50/60p. The screen features a 10-bit colour depth and 24-bit LUT. The display also supports hardware calibration and supports Eizo's ColorNavigator NX software. It offers quality control and asset management of client ColorEdge monitors. To suit the needs of a specific project, you can change the brightness, gamma, and white point settings of the monitor's preset colour modes and calibrate to the new values which are saved to the monitor itself. In other specs the screens response time has yet to be finalised apparently, but we do know that it will feature an IPS-type panel with a wide gamut LED backlight system. There are 2x DisplayPort and 2x HDMI connections available along with 3x USB 3.0 ports. Stand functionality is apparently to be confirmed, although this will surely offer tilt, height, swivel and probably rotate adjustments as well. A light shield is included in the package. In addition to the new ColorEdge PROMINENCE CG3145 HDR reference monitor, EIZO now offers optional HLG and PQ curves for many of its current CG Series monitors. The optimized gamma curves render images to appear more true to how the human eye perceives the real world compared to SDR. This HDR gamma support is available as an option for ColorEdge CG318-4K, CG248-4K, CG277, and CG247X. Both gamma curves were standardized by the International Telecommunication Union (ITU) as ITU-R BT.2100. In addition, the PQ curve was standardized by the Society of Motion Picture and Television Engineers (SMPTE) as ST-2084. With the new ColorEdge PROMINENCE CG3145 monitor and HDR gamma support for a range of other monitors, EIZO now offers a wide selection of solutions to cover HDR video creation, VFX, compositing, colour grading, and more. The ColorEdge PROMINENCE CG3145 will begin shipping in late 2017. 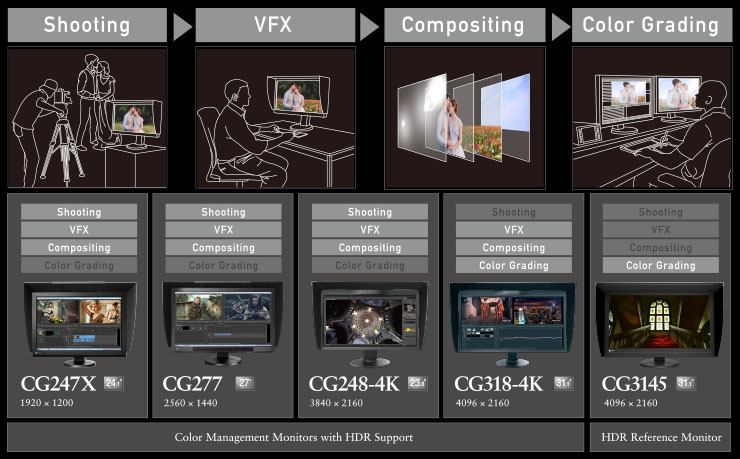 Select ColorEdge CG Series monitors are now eligible for HLG and PQ curve gamma support. Date of availability varies by country so contact the EIZO group company or distributor in your country for details. Given the high retail price of €5000 for the CG318-4K when that was released, we expect this new model to be in that ball-park and probably a bit higher. There were rumours earlier this year that Dell had scrapped the eagerly anticipate UP3017Q OLED display, and indeed it did drop off Dell roadmaps for a while. It seems Dell had some development issues at first, but out of nowhere the screen has now appeared on Dell.com to everyone's surprise! We now know a lot more about the screen since we first learnt of it in January 2016, and some of the early spec discussions have now become clear. 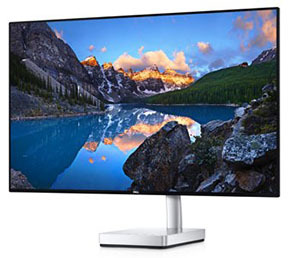 The UP3017Q is the first widely available desktop monitor to use OLED technology. 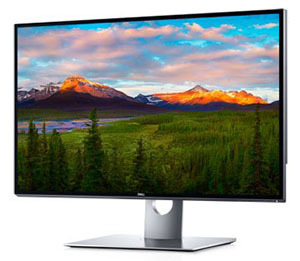 It is 30" in size and offers a 3840 x 2160 Ultra HD resolution. One of the key benefits of OLED is the incredible contrast ratio, and Dell list 1,000,000:1 (1 million:1) here thanks to the very low black depth possible. We will explain the contrast ratio of this screen a bit more in a moment. The OLED panel offers a typical brightness of 300 cd/m2 when there is a ≤1% Load on the screen. Loading is proportional to the screen content Dell explain, and a full white screen would be 100% loading for instance. At 100% loading the typical brightness is 120 cd/m2. There is also a specified minimum black depth listed of 0.0005 cd/m2 although that is in fact limited by equipment measurement tolerances and in reality is lower in fact. The very high 1 million:1 contrast ratio is referenced as the "perceptual" contrast ratio should you be able to measure a black depth below the 0.0005 cd/m2 listed. At ≤1% Load the contrast ratio is actually 600,000:1 and at 100% load it is 200,000:1. We are splitting hairs here really, as bottom line is the contrast ratio is way beyond anything achievable from LCD panels at the moment. Another impressive spec is the 0.1ms response time (well actually it is listed as 0.09ms in the manual), listed specifically here for a black > white transition. The G2G response time figure is not listed, but OLED is fast, and so this should be very low. Despite some early rumours last year, the screen only offers a 60Hz refresh rate maximum at 3840 x 2160 according to the spec. Perhaps this is part of the reason for the delay, if Dell were experimenting with interfaces beyond DP 1.2 to offer suitable bandwidth support for 3840 x 2160 @ 120Hz? That seems to be a real struggle for manufacturers at the moment, so reverting to DP 1.2 and 60Hz has at least allowed them to release the screen. Gamers after all are not the primary audience for this high end screen. The user guide for the screen does mention "120Hz (selectable)" in the spec pages but we believe that to be either an error, or perhaps an option if you are running at a lower resolution perhaps. It is not very clear at all in the manual so we will have to wait to test the screen, but we are pretty sure it won't support beyond 60Hz. No G-sync or FreeSync support either incidentally. The screen supports a wide gamut colour space as well with 100% Adobe RGB, 100% sRGB, 100% Rec. 709, 97.5% DCI-P3 and 85.8% Rec. 2020 coverages. This equates to 114.8% of NTSC (CIE1931) or 126.5% NTSC (CIE1976) if you are interested in those references. This is also supported by a 10-bit colour depth and 1.07 billion colours, if you have a suitable graphic card and 10-bit workflow. The only other spec we've not mentioned are the wide 178/178 viewing angles. You may notice the lack of advertising for HDR on this screen as well. The spec does meet some of the requirements for HDR but not all of them, if we refer to the Ultra HD Premium classification system that is. The resolution, colour depth and connectivity specs are sufficient and the colour space coverage is basically there at 97.5% DCI-P3 coverage. The peak maximum luminance is not quite high enough for those standards though, which require 540 cd/m2 instead of the available 300 cd/m2. Keep in mind though that Ultra HD Premium standards are really designed for the TV market, where a higher brightness is really a requirement. For the desktop monitor market, 540 cd/m2 is probably far too high, and the OLED panel in the UP3017Q can still delivery incredibly high contrast ratios which is really the key principle of HDR anyway. Connectivity wise USB type-C is provided for a single cable connection if you want, and Mini DisplayPort 1.2 and HDMI 2.0 are also provided. There is also an audio out connection. The design features aluminium edges, a thin edge design (11mm top and sides, 16mm along the bottom) and a premium feel, and the stand offers a full range of tilt, height, swivel and rotate adjustments. There is a uniformity compensation feature available in the OSD menu although we have found these a bit hit and miss on Dell screens in the past. No hardware calibration support though which we might have expected given the price and market segment. The UP3017Q is listed on Dell.com US for $3499.99 and apparently ships in 1 - 2 weeks, although we have seen some reports of people who have already ordered and received a shipping notification. No sign of it yet on Dell's UK site or a UK equivalent price. We will do our best to get hold of a sample for review. Update 31/5/17 - it looks like sadly we will not be able to review this screen. Dell have told us that the monitor is not expected to be released outside of the US, and even there it is in small quantities. Update 20/6/17 - the UP3017Q is now listed as "no longer available" on Dell.com. It seems that the screen might have already been scrapped and as we reported earlier, only ever available in very limited numbers in USA only. ViewSonic have recently introduced a new 27" screen in their professional VP range. The VP2768 offers a 2560 x 1440 resolution IPS panel with a frameless design and is aimed at colour critical work, photographers and graphics designers. You may think that given its target use this would be a wide gamut backlit screen, but actually it offers a standard sRGB gamut with 99% coverage. The VP2768 comes factory calibrated with DeltaE < 2. An integrated colour uniformity function ensures consistent chromaticity across the screen, while a 14-bit 3D look-up table generates a palette of 4.39 trillion colours. For the ultimate colour accuracy, the VP2768 is hardware calibration ready and can be used with the optional ViewSonic Colorbration (yes, that does say "Colorbration") calibration tool CS-Xri1. This kit allows users to quickly and easily calibrate monitors for various applications. It looks like it is a re-branded X-rite i1 Display Pro device with ViewSonic's packaged calibration software and is available at an MSRP of $280 USD. Spec wise the screen offers a 14ms G2G response time, 1000:1 contrast ratio, 350 cd/m2 brightness, 178/178 viewing angles, 8-bit colour depth. Connectivity wise there are DisplayPort, Mini DisplayPort, 2x HDMI 1.4 and 4x USB 3.0, audio out and DP out connections offered. The ViewSonic VX2768 will be available in April 2017 and listed on ViewSonic's site now at $539.99 USD. The 349X7FJEW also has a flicker free backlight and low blue light modes, and the stand offers a tilt and 150mm height adjustment. There are DisplayPort 1.2, HDMI 1.4, HDMI 2.0 and 4x USB 3.0 connections available along with audio in and headphone out. The new Philips 349X7FJEW X Line display, with an RRP of £759, will be available in April 2017. 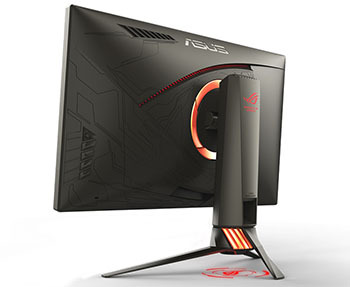 Asus have recently announced a new 27" monitor in their popular gaming ROG Swift range. The PG27VQ is 27" in size and offers a 2560 x 1440 resolution panel with a 1800R curvature. The screen supports NVIDIA G-sync and a refresh rate up to 165Hz, along with an advertised 1ms G2G response time. No mention in the press release about inclusion of ULMB, although we wouldn't be surprised to see it given the high refresh rate. It looks like this screen, given the known spec, will be based on an AU Optronics TN Film panel. The M270DTR01.0 goes in to production during April 17 and seems to fit. Apparently "select versions of the PG27VQ will also use quantum dot technology", so there are expected to be a couple of different versions of this model it seem. Quantum dot will allow a slightly extended colour gamut (around 125% sRGB instead of the typical 100% coverage). The screen also has new illuminated accents on the back. The RGB LEDs are tied into Aura Sync, allowing the monitor to match the glow of the rest of your rig. This enables gamers to synchronize their illumination effects with the on-screen action, as well as with other Aura Sync-capable peripherals, providing unlimited personalization and style. There's very little information on specs and features but given it's a G-sync screen that should mean that DisplayPort and HDMI connections are offered. Look for the PG27VQ in Q3 according to the press release. No word on price yet. 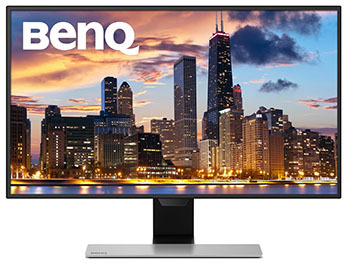 Announced a couple of months ago, but not something we covered at the time, is the new EW2770QZ display fro BenQ. The highlighted feature in their press release is the so-called "Brightness Intelligence Plus" (B.I. +) system. The press release states: "Utilizing an innovative light sensor to detect ambient brightness and color temperature levels, B.I.+ customizes EW2770QZ’s display output to protect viewers’ eyesight and deliver optimal picture quality. EW2770QZ senses surrounding brightness throughout the day for varying color temperatures of the ambient light. Incorporating proprietary real-time algorithms, B.I.+ automatically adjusts display brightness and color temperature to deliver the most comfortable viewing experience, whether under relaxing warm lighting at home, productive cool white lighting in the office, or sunlight shining through the window. Simultaneously detecting the intensity of displayed content, EW2770QZ also adjusts brightness to ensure bright scenes avoid overexposure while dark scenes preserve subtle details and clarity. Even when brightness is dimmed, B.I.+ enhances color hue and saturation to maintain absolute color accuracy and smooth gradation quality." So this looks to be a light sensor that not only adjusts the brightness of the display (something we've seen before on quite a few screens), but also adjusts the colour temperature. This is an interesting extension of BenQ's eye-care initiative and it's combined as ever with their flicker free backlight and low blue light modes. Beyond that feature, the EW2770QZ offers a 2560 x 1440 resolution IPS technology panel. It offers a standard 100% sRGB colour space and 8-bit colour depth. In other specs the screen offers a 5ms G2G response time, 1000:1 contrast ratio, 350 cd/m2 brightness, 178/178 viewing angles. It has a tilt adjustment only from the stand and comes with HDMI and DisplayPort connections. There are also integrated speakers and a headphone jack. Why Philips can't adopt more simple product names we don't know! Regardless, Philips are set to release a new 27" screen in their E-line of displays. The 276E8FJAB offers a 2560 x 1440 resolution IPS panel and wide gamut colour space support. In terms of the colour gamut, this new model will offer 114% coverage of the NTSC space based on CIE1976 and 132% sRGB based on CIE 1931, which far exceeds the typical 72% NTSC and 99% sRGB you see from most mainstream monitors. In addition, the screen has a glass screen coating, and a slim bezel design which is still quite rare in the market. Spec wise the screen offers 2560 x 1440 resolution, 4ms G2G response time, 1000:1 contrast ratio, 350 cd/m2 brightness, 178/178 viewing angles, 16.7m colour depth. There is a basic tilt from the stand but no other adjustments, and there are VGA, DisplayPort and HDMI connections offered. Philips SmartContrast and SmartImage Lite technologies analyse the screen content, automatically making adjustments in real time to contrast, colours, image sharpness and backlight intensity to suit what is shown on the screen at the time. Flicker-free technology minimises potential eye fatigue with a new solution that regulates brightness and reduces flicker for more comfortable viewing. There are also integrated speakers on this model. The new Philips 276E8FJAB E-Line display, with an RRP of £339, will be available in May 2017. We know that AU Optronics are investing in research in to HDR supporting backlights as a priority. These start with global dimming options with only 1 dimming area, and are of course the most cost effective. Edge Backlight Unit dimming with 8 or 16 areas are also under development, while the full flat direct backlight unit with >300 dimming areas is the best option for true HDR. Have a read of our HDR article for more information about this. AU Optronics are also establishing the feasibility of offering a full array (>300 areas) backlight for curved screens but it's not yet in development. Panel wise, AUO will offer various HDR display options. The edge backlight options will come in flat 32" (2560 x 1440) and curved 35" (3440 x 1440) sizes and are based on VA panel technology. They will offer 8 backlight areas and a colour space of DCIP3 >=90%. 400 typical and 600 cd/m2 peak brightness is provided and these panels are forecast to go in to production in Q3 2017. For full-array backlight options we already know about the exciting 27" flat panel (panel part now confirmed as M270QAN02.2), with an IPS-type AHVA panel, 3840 x 2160 resolution, 384-zone backlight, HDR support, 600 - 1000 cd/m2 brightness, 144Hz refresh rate etc as featured in the forthcoming Asus ROG Swift PG27UQ. The panel for that screen is due to go in to production in July 2017 so the Q3 expected release date for the monitor might well be possible. We will see. AUO are also now working on a 32" HDR IPS-type AHVA panel, with similar features. A 3840 x 2160 ultra HD resolution, 384-zone backlight, HDR support, DCIP3>=95% and 400 - 800 cd/m2 brightness. This 32" version is expected to go in to production in Q4 2017 so is some way behind the 27" model. No confirmation on refresh rate of the 32" panel, although we don't believe it will be high refresh rate sadly as it is not listed in their gaming panels, whereas the 27" version is. We have already talked about the 27" 3840 x 2160 res IPS-type panel with 144Hz above, featuring HDR support. Away from HDR for a moment AUO also have a "normal" version of this panel in plan (M270QAN02.3), with the same Ultra HD resolution and 144Hz refresh rate, but with typical panel specs elsewhere. This includes a 350 cd/m2 brightness, 1000:1 contrast ratio, sRGB gamut. That's expected to go in to production in Q3 2017. 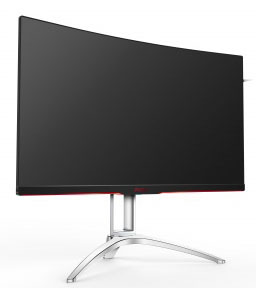 Of other note is a new 27" curved panel in plan (M270DTR01.0), which is based on TN Film technology. This will offer a 2560 x 1440 resolution but in this curved screen format (1800R), along with a 165Hz refresh rate, 400 cd/m2 brightness, 1000:1 contrast ratio. It's due to go in to production in April 2017. 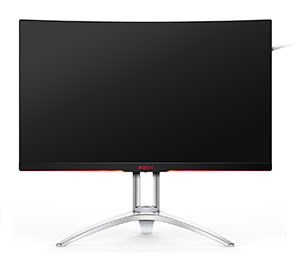 There's also another 27" curved panel planned, this time in VA technology and with a 1920 x 1080 resolution @ 165Hz refresh rate (M270HVR01.0). That is due to go in to production in July 2017. 49" mega-wide panel - this panel will offer a massive 49" size, in a 32:9 aspect ratio which Samsung are referring to as a "Grand Circle" format. We knew about the plans to produce a panel like this back in January 2016, but more details are starting to emerge now which is good news. These are the current specs but could of course change between now and mass production. The resolution will be 3840 x 1080 (referred to as DFHD = double full HD). It will be a VA technology panel with a 1800R curvature and a 3-side frameless design. The panel will offer a high 5000:1 static contrast ratio which is pushing the CR beyond current Samsung VA panels in fact. Perhaps most interesting is that the panel will apparently support a 144Hz refresh rate, along with options for AMD FreeSync and NVIDIA G-sync. The panel is due to go in to mass production around September 2017. Double 24.7" (44") - this is an interesting option in their Grand Circle format. Creating a 29:9 aspect ratio and ultrawide format, this is a double 24.7" sized screen which ends up being 44" diagonal in size. It's designed to replace dual 24" sized monitors really and offers a 3840 x 1200 resolution. It's a VA panel with 5000:1 contrast ratio, 1800R curvature, 8-bit colour depth and a 3-side frameless design. There will apparently be 60Hz and 144Hz versions available and it is expected to go in to mass production in September 2017. 40" Full HD - slightly less interesting is a large 40" panel with a 1920 x 1080 resolution VA panel. This offers a 1800R curvature, 3000:1 contrast ratio and 8-bit colour depth. This might well be aimed at TV / multimedia displays given the resolution and spec. It is expected to go in to production in Aug 2017. We have updated our panel parts database with all this new information as well where possible although part numbers are not known in many cases. We have also ensured our High Refresh Rate Panel Roadmap article is up to date and even easier to use now. 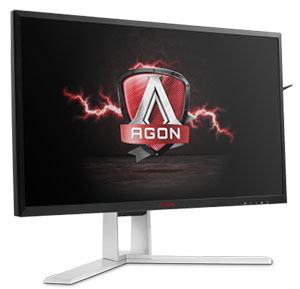 AOC presents the first 4K (Ultra HD) model of its AGON line of gaming monitors. The AOC AGON AG271UG boasts a 27″ Ultra HD IPS panel, which brings the latest games to life in highly detailed graphics and accurate colours. In addition, the built-in NVIDIA G-SYNC module allows a super-smooth and responsive gaming experience by minimising screen tearing, display stuttering and input lag. The display’s strong performance is complemented by several premium features designed to protect gamers’ health and wellbeing: The AOC Ergo Dial Base offers ergonomic adjustment options and a height scale, while the AOC Flicker-Free and low blue light technologies prevent eyestrain during extended gaming sessions. For an additional advantage in darker games, the AOC Shadow Control option brightens extremely dark screen areas without affecting the rest of the image. To make the comprehensive package complete, a retractable headset holder lets gamers safely deposit their headphones in between esports matches, and a convenient carrying handle allows easy transport of the monitor to different locations. 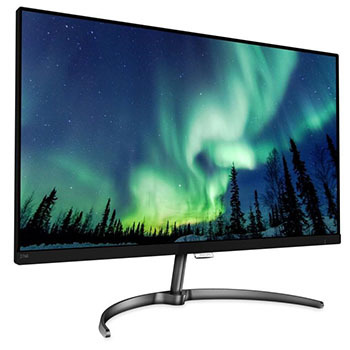 Spec wise the screen offers a 3840 x 2160 resolution, 4ms G2G response time, 60Hz max refresh rate (since this is a 4K panel and uses DP 1.2 connection only), 1000:1 contrast ratio, 300 cd/m2 brightness, 178/178 viewing angles, 16.7m colour depth and sRGB gamut. There are 1x HDMI, 1x DisplayPort, 4x USB 3.0, audio out and mic in/out connections provided. The stand offers tilt, height and swivel adjustments and there are also integrated stereo speakers on this model. The AOC AGON AG271UG will be available in April 2017. The MSRP is £699. 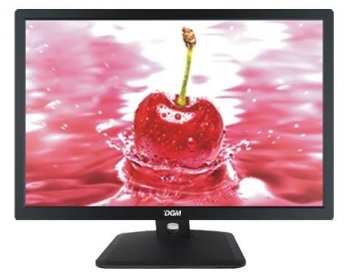 We haven't heard much from DGM as a monitor manufacturer for a while, so thought it might be good to give a bit of a round-up of their current range of screens, some of which are new (to us at least). DGM are a European manufacturer who focus on reliable quality at an affordable price. Here's the models listed in a recent spec sheet we were sent. IPS-2402W - A 24.1" sized screen with an unusual 2560 x 1600 resolution and 16:10 aspect ratio. Spec wise the screen offers a 6ms G2G response time, 1000:1 contrast ratio, 300 cd/m2 brightness, 178/178 viewing angles, 16.7m colours. There are VGA, DVI-D and HDMI connections offered. We aren't aware of any panels from LG.Display (or anyone else actually) which offer this size and resolution, although DGM list the screen as using an LG.Display panel so it must be a new one. This model is priced at $199.99 USD. IPS-2703WB - A 27" screen with a 2560 x 1440 resolution IPS panel from LG.Display. This model features a "hard glass" screen coating which makes it fairly unique. The spec offers a 14ms G2G response time, 1000:1 contrast ratio, 300 cd/m2 brightness, 178/178 viewing angles, 16.7m colour depth. There are VGA, DVI-D, HDMI and DisplayPort connections offered. This model should retail for $339.99 USD. IPS-3009WPHO - a 30" screen with a 2560 x 1600 LG.Display IPS panel. This model offers a 6ms G2G response time, 1000:1 contrast ratio, 330 cd/m2 brightness, 178/178 viewing angles, 1.07b colour depth (8-bit+FRC) and comes with VGA, DVI-D, HDMI and DisplayPort connections. Retail price is $399.99 USD. IPS-3210WPHO - a 32" sized screen with a 3840 x 2160 resolution AU Optronics AHVA (IPS-type) panel. This model offers a 4ms G2G response time, 1000:1 contrast ratio, 350 cd/m2 brightness, 178/178 viewing angles and 1.07b colour depth (8-bit+FRC). 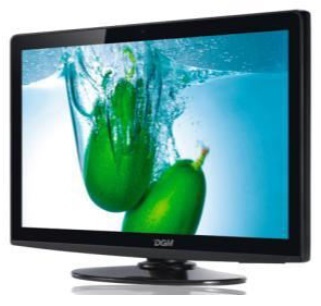 There are VGA, DVI-D, HDMI and DP connections available and the retail price is $529.99 USD. As an update to the LG 24GM77 screen, LG are set to release their new 24GM79G model. The new screen retains much of the design of its predecessor, with a rather chunky and industrial design by modern standards. Spec wise the screen offers a 24" 1920 x 1080 resolution TN Film panel with 144Hz native refresh rate with AMD FreeSync support. There is a 5ms G2G response time spec, which is odd for a TN Film panel. LG do go on to quote a 1ms Motion Blur Reduction response time mode, as the screen features a strobed backlight for motion blur reducing benefits. There is also a 1000:1 contrast ratio, 350 cd/m2 brightness, 170/160 viewing angles, 16.7m colour depth and sRGB gamut. There are some additional gaming features offered including a "Dynamic Action Sync" mode to reduce input lag, Black Stabilizer and a series of game preset modes. HDMI and DisplayPort connections are offered along with a 2 port USB 3.0 hub. Tilt, height and pivot adjustments are offered from the stand. The screen is expected to be released very soon at a price of around $350 USD. AOC are set to release another new screen in their AGON gaming series of displays. The AG322QCX is 31.5" in size and offers a 2560 x 1440 resolution VA technology panel, with a 144Hz native refresh rate. This is coupled with support for Adaptive-Sync and therefore AMD FreeSync, with a variable refresh rate range specified as 48 – 146Hz. The rest of the spec offers 4ms G2G response time, 2000:1 contrast ratio, 300 cd/m2 brightness, 178/178 viewing angles, 8-bit colour depth and sRGB gamut. There are some familiar AOC gaming features including the lighting system on the screen, flicker free backlight, low blue light modes, Shadow Control feature and even a Quick Switch accessory for controlling the OSD menu. Tilt, height and swivel adjustments are offered from the stand and there are 2x DisplayPort, 2x HDMI, 1x VGA, 2x USB 3.0, headphone out and mic in connections provided. 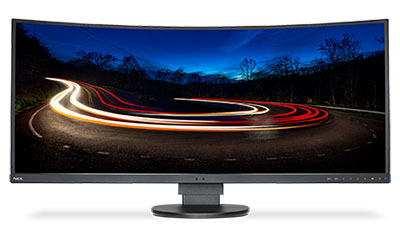 Philips have announced a new 27" model in their range of desktop monitors, this time offering a curved format (1800R) and a wider colour gamut. The spec page doesn't really talk about how this is done, other than that it is at a hardware level so we are assuming this screen will use Quantum Dot technology to boost that gamut. The 278E8QJAB (why can Philips not come up with simple names for their screens?!) comes with a 1920 x 1080 resolution VA panel offering a 130% sRGB (104% NTSC) gamut coverage. In other specs the screens offers 4ms G2G response time, 3000:1 contrast ratio, 250 cd/m2 brightness, 178/178 viewing angles, 16.7m colour depth. The stand offers only a basic tilt adjustment and there are VGA, DisplayPort and HDMI inputs available along with audio in, headphone out and integrated 2x 3W speakers. The new Philips 278E8QJAB E-Line display will be available in March 2017. The MSRP is £239. AOC are set to showcase their new AGON AG352QCX display at this years CEBIT event from March 20 - 24th in Germany. This new screen is 35" in size and will offer an ultra-wide format and 2000R curvature. The AG352QCX offers a 2560 x 1080 resolution but with a maximum refresh rate of 200Hz available from the VA technology panel. It is also paired with AMD FreeSync support. The AOC Low Input Lag Mode and AOC Shadow Control offer additional advantages for an improved gaming experience. It is designed to meet gamers’ individual needs by providing several AOC Game Mode presets that can easily be selected with the AOC QuickSwitch keypad that comes with it. These presets include RTS, racing and FPS modes, but users can also save their own preferred settings. LED lights on the back of the monitor further empower gamers to customise the look of their monitor by enabling them to switch the LED colours and intensity. Spec wise the screen offers a 4ms G2G response time, 2000:1 static contrast ratio, 300 cd/m2 brightness, 178/178 viewing angles, 16.7m colour depth and sRGB gamut. There are D-sub, HDMI and DisplayPort connections provided with DP needed to support the maximum 200Hz refresh rate. Tilt, height and side to side swivel adjustments are offered from the stand and there are also integrated 5W speakers. Dell are set to release a few new models in their latest "Dell HDR" range. The new models are the 23" S2318NX, 23.8" S2418NX and 27" S2718NX and all feature the ever-popular IPS panel technology. Interestingly the 23" and 27" models are expected to feature a glossy screen coating, while the 23.8" model sticks to a normal AG coating. All 3 models have fairly similar specs, with 1920 x 1080 resolution, 6ms G2G response time, 1000:1 contrast ratio, 178/178 viewing angles and sRGB colour gamut. The 27" S2718NX offers FreeSync support over HDMI with an anticipated refresh range of 40 - 75Hz. The other two models are limited to the standard 60Hz refresh and don't have any adaptive refresh rate technology support. With the lack of a full-array dimming backlight, wide gamut or high brightness support it's hard to really understand how Dell are marketing these as HDR screens. Have a read of our HDR article for more information, but these don't appear to meet any real standards. They are probably more appropriately labelled as supporting ‘Dell HDR’, which is an intelligent processing algorithm used to enhance the image where HDR10 content is being displayed. We have not yet had any experience testing screens with this technology so it's hard to know how it works, but we expect it may ‘enhance’ content in some ways without really blowing users away in the sense that ‘real HDR’ might. The connection options include VGA, HDMI (1.4a with Adaptive-Sync on 27” model only) and 3.5mm audio output. The stand offers a tilt adjustment only. Further information on the S23, S24 and S27 can be found on Dell’s website. LG are set to release 4 new models in their UD series, each offering Ultra HD 3840 x 2160 resolution. The flagship model is the 31.5" sixed 32UD99 which we've already covered in detail in another news piece. We won't go in to detail again here but that is a model featuring HDR10 support and a whole host of impressive features. All 3 models have a similar style and appearance. No word on release date or price at the moment. NEC have recently launched the EX341R, a 34-inch curved widescreen desktop monitor. Ideal for applications in high-end offices and financial trading floors, the monitor is developed for industries where large displays are central to the user’s day-to-day activities. Providing the best viewing angle and consistent distance from the screen for users, the EX341R delivers the ultimate experience in user ergonomics. Added to this with built-in Low Blue Light and flicker-free technology, the display supports better eye health and overall comfort and wellbeing without compromising on image quality. It also comes with full height adjustability and lower positioning options, an ultra thin bezel to minimize visual intrusion and integrated keyboard and mouse switch for multi-machine users. Along with this the curved display features a variety of content arrangement and viewing options including picture-in-picture (PIP) and picture-by-picture (PBP) screen splitting for side-by-side viewing of output sources. All these features combine to offer unrivalled flexibility and ergonomic applications. 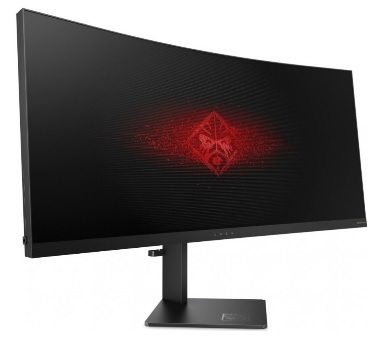 The EX341R has a 1800R curvature and offers an ultra-wide 21:9 aspect ratio with 3440 x 1440 resolution. It is based on a Samsung SVA panel and offers a 5ms G2G response time, 3000:1 contrast ratio, 290 cd/m2 brightness, 178/178 viewing angles, 99.5% sRGB gamut and 16.7m colour depth. The display features NEC's ground-breaking ControlSync technology combined with DisplayPort daisy-chain functionality to simplify multiple monitor configurations as well as a picture by picture mode to replace existing monitors. The EX341R also includes NEC's human presence sensor, which can turn the display off when the user leaves the workstation. In addition, the EX341R includes factory calibration and uniformity correction, and can also be used with NEC's exclusive SpectraView software for hardware calibration to ensure colours are uniform and accurate. 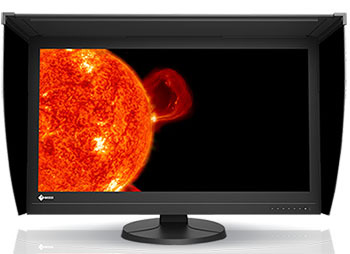 The desktop and SpectraView software are available separately or as a bundle, the EX341R-BK-SV. 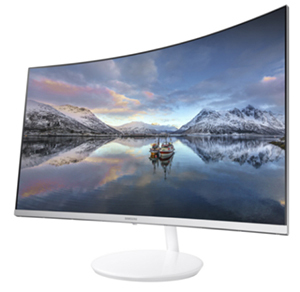 The curved display also includes multiple connections for most modern devices, including two HDMI ports, four USB 3.0 ports, and DisplayPort 1.2 input and output. Further, the USB hub features NEC's proprietary DisplaySync Pro, a technology that allows users to control two computers with one keyboard and one mouse by using the display to switch between computers. 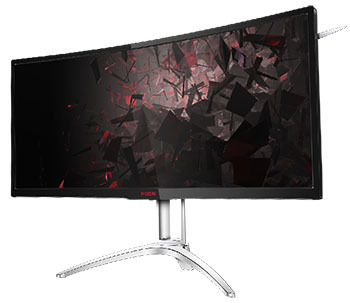 Display specialist AOC expands its AGON premium gaming monitor series with two new curved models: the 31.5″ AG322QCX with QHD resolution and the 27″ Full HD display AG272FCX. Both come with an extremely small curvature radius of 1800 for an added level of immersion. Thanks to almost invisible bezels on the top and sides of the monitors, the “3-sides frameless” design lets players focus on the gaming action even more.. A refresh rate of 144 Hz and AMD FreeSync technology provide a super-smooth gaming experience with no stuttering, tearing or motion blur. In addition, the two models also boast all of the premium features of other curved displays from the AGON line,, including a variety of gaming modes and settings (adjustable with the included QuickSwitch keypad), a headset holder, a handle, ergonomic adjustment options and customisable LED lights. 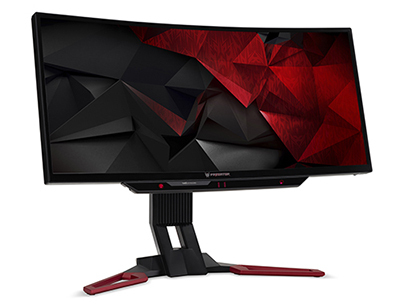 The two new 16:9 models expand the AOC AGON curved monitor lineup with two new sizes: The AOC AGON AG322QCX boasts a 31.5″ (80 cm) VA panel with a QHD resolution of 2560 x 1440 pixels for razor sharp game graphics. The AG272FCX, on the other hand, uses a more compact 27″ (68.6 cm) VA display with a Full HD resolution of 1920 x 1080 pixels. 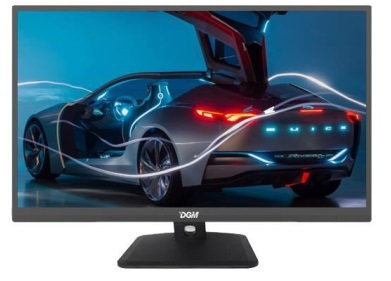 Both the AG322QCX and the AG272FCX boast a high refresh rate of 144 Hz and also offer AMD FreeSync support, which reduces stuttering, tearing and input lag. Gamers looking for an even more responsive experience will benefit from the AOC Low Input Lag Mode which bypasses most of the monitor’s internal video processing. This way, players can see their control inputs reflected on the screen immediately, which is advantageous in competitive action games. The AOC Shadow Control feature gives an additional advantage in games with very dark sections: it lightens overly dark areas of the image and darkens bright parts without affecting the rest of the screen. Game modes and other settings can be conveniently toggled with the included AOC QuickSwitch keypad. Instead of navigating through menus with the standard buttons on the monitor, players can adjust the display settings via the controller. The perfect mode for each specific game played can be set with the click of one button thanks to FPS, Racing, RTS and customizable game mode presets. The AG322QCX offers a 2560 x 1440 resolution, 4ms G2G response time, 2000:1 contrast ratio, 300 cd/m2 brightness, 178/178 viewing angles, 100% sRGB gamut and comes with 2x HDMI, 2x DisplayPort, 1x VGA and 2x USB 3.0 connections. There is an audio out, mic in/out and integrated stereo speakers as well. The AG272FCX offers a 1920 x 1080 resolution, 4ms G2G response time, 3000:1 contrast ratio, 250 cd/m2 brightness, 178/178 viewing angles, 100% sRGB gamut and comes with 2x HDMI, 1x DisplayPort, 1x VGA and 2x USB 3.0 connections. There is an audio out, mic in/out and integrated stereo speakers as well. t is designed to meet gamers’ individual needs by providing several AOC Game Mode presets that can easily be selected with the AOC QuickSwitch keypad that comes with it. These presets include RTS, racing and FPS modes, but users can also save their own preferred settings. 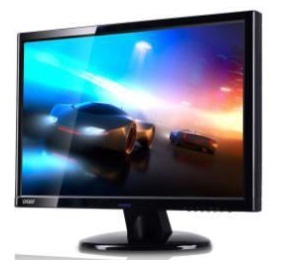 AOC have recently announced a new model in their ever-growing AGON range of gaming monitor. The AG352UCG is 35" in size and features a 3440 x 1440 resolution AMVA panel and a native 100Hz refresh rate. This is similar to the recently announced HP Omen X35 in fact, and AOC's model will also support NVIDIA G-sync. Ultra Low Motion Blur (ULMB) is also specifically listed in the AOC press release which is good news, for blur reducing benefits. While it is mentioned in the press release, it is not listed on AOC's spec page and we have confirmed after receiving a review sample that ULMB is sadly not available. For gamers, the AG352UCG also features the Shadow Control settings and headphone holder that we saw from the recent review of the AG251FZ screen. AOC have also included an LED light system along the bottom edge, much like we saw from models like the Acer Predator XR341CK and X34. The LED lights on the AG352UCG’s back and lower bezel can be set to three different colours (red, green, blue) and three different brightness levels. To keep players’ posture healthy as well, the AG352UCG comes with a robust and highly ergonomic stand called AOC Ergo Base. It offers height, tilt and swivel adjustment options, which empower gamers to find a comfortable position and prevent back pain. A convenient carry-on handle makes it easy to bring the AG352UCG along to LAN parties and events, and a retractable headset holder lets players safely deposit their headset during breaks. In specs, the screen offers a 4ms G2G response time, 2000:1 contrast ratio, 300 cd/m2 brightness, 178/178 viewing angles and 100% sRGB gamut coverage. Connectivity wise there are 1x DisplayPort, 1x HDMI and 4x USB 3.0 offered, along with an audio out and mic in/out. Stereo speakers are also offered. 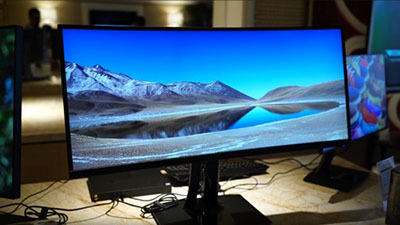 Showcased at CES this year was HP's new ultra-wide display, part of their new Omen X line-up. The Omen X35 is 35" in size and offers an impressive and interesting spec. The screen is based on a 3440 x 1440 resolution AMVA panel from AU Optronics, sporting their new native 100HZ refresh rate panel. The screen is paired with NVIDIA G-sync support as well, and along with the (rated) 4ms G2G response time this makes it an interesting option for gamers. ULMB is not mentioned in their features and specs though. In other specs, the panel offers a 2500:1 static contrast ratio, 300 cd/m2 brightness, 178/178 viewing angles and 100% sRGB gamut coverage. The screen is curved in format (1800R) with an ultra-thin bezel design, and will offer 1x DisplayPort 1.2 and 1x HDMI 1.4 inputs for connectivity. There are also an audio input/output and 3x USB 3.0 ports. Tilt and height adjustments are offered from the stand. The Omen X35 will apparently be available in March for around $1300 USD. 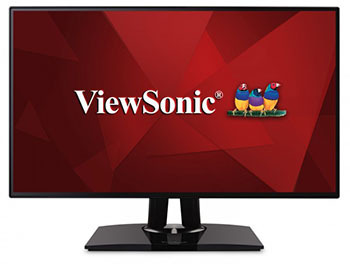 Recently announced by ViewSonic is their new 37.5" sized display, the VP3881. 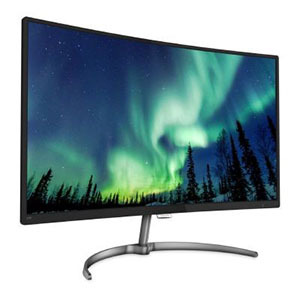 This model offers a curved ultra-wide IPS panel with a 24:10 aspect ratio and 3840 x 1600 resolution. This is their equivalent to the LG 38UC99 we have already reviewed. To ensure that colour accuracy is at its highest level, the VP3881 comes with hardware calibration that works with the ViewSonic Color Calibration Kit. Connectivity options include: HDMI, DisplayPort, USB 3.1 Type C and a USB hub. The screen should be available in June at a retail price of $1,999 USD. 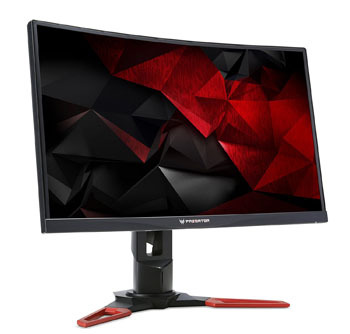 Another new monitor in ViewSonic’s professional display line is the VP3268-4K monitor. A 31.5-inch, four-sided frameless display, the VP3268-4K comes with 3840 x 2160 4K UHD resolution. It comes pre-calibrated to achieve professional grade Delta E<2 and uniformity for colour-critical applications. It comes with HDMI, DisplayPort, Mini-DisplayPort and USB hubs for flexible connectivity. The screen should be available in June at a retail price of $1,359 USD. With an ultra-thin and minimalistic design, the ViewSonic VX2781-UC is a 27-inch frameless monitor with an IPS type panel. Part of the VX-series of multimedia/entertainment monitors, the VX2781-UC features 2560 x 1440 QHD resolution, and offers a great combination of color and resolution detail. Its fully ergonomic design maximizes comfort and productivity, delivering a large format screen and features for multimedia applications. The VX2781-UC comes with a USB 3.1 Type C input that provides a single cable solution for audio, video, power and data. The screen should be available in June at a retail price of $749 USD. 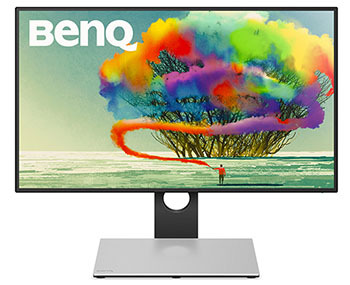 Aimed at the designer market, BenQ's new PD2710QC monitor sports an IPS panel with 2560 x 1440 resolution and a normal 100% sRGB colour gamut. The PD2710QC features CAD/CAM, Animation, and Darkroom modes tailored for specialized work and has an integrated USB-C docking station as well. This connection enables laptop charging, data transfer, Internet connection, audio and video transmission through just one USB-C cable. Simultaneously delivering up to 61 watts of power to a laptop or mobile device, PD2710QC’s single 5Gbps SuperSpeed USB-C connection powers its integrated hub featuring multiple audio, video, network, and USB ports in addition to uncompressed 2K QHD video quality. The screen is certified by Technicolor to meet strict standards for colour accuracy used in Hollywood and throughout the media and entertainment industries. Their usual flicker free backlight and low blue light modes are featured as ever. Spec wise the screen offers a 5ms G2G response times, 1000:1 contrast ratio, 350 cd/m2 brightness, 178/178 viewing angles, 16.7m colour depth and 100% sRGB gamut. There are DisplayPort, Mini DP and HDMI connections available along with a headphone jack and 4x USB 3 ports. The stand offers tilt, height, swivel and rotate adjustments. Samsung’s new CH711 Quantum Dot curved monitors are designed with gamers in mind. Available in 27- and 31.5-inch variations, and scheduled for an early 2017 commercial release, the CH711 models deliver vivid images and colours with a 125% sRGB gamut colour space. Both models offer a 1800R curvature along with a 2560 x 1440 resolution, 3000:1 static contrast ratio and 178/178 viewing angles. The other specs and features don't appear to be listed at the moment, so more information when we have it although given the known specs these look to be VA technology panels. The CH711’s sleek, sophisticated 360-degree design complements any desktop or décor. Its clean, white chassis features an attractive three-sided Boundless design, and neatly hides its power and HDMI cables out of sight inside the stand’s neck. Dell's press release sums up the key selling points of this new display announced for CES 2017 nicely: "Earning the distinction of CES 2017 Innovation Awards Honoree and featuring the world’s overall thinnest profile, the new Dell 27 Ultrathin Monitor’s striking design is sure to catch the eye. With Quad HD technology and USB Type-C connectivity, the S2718D integrates a sleek, modern design aesthetic to complement any space and offers an expansive entertainment experience without borders, courtesy of Dell’s InfinityEdge display. Position the stunning display however feels best with the articulated hinge and enjoy an unhampered view from nearly any angle. Sophisticated and understated, this state-of-the-art design beautifully and subtly houses the critical components in a slim base, making it perfect for a multitude of lifestyles and contemporary workspaces. Not only is the ultrathin design remarkable but the S2718D also offers Dell’s HDR feature, which allows you to experience the next generation of entertainment with stunning visuals in high dynamic range, enhancing the experience with exceptionally vivid images, higher clarity with visibly vibrant textures and increased contrast. Sporting built-in USB Type-C connectivity for added convenience of all-in-one cable management, ComfortView and a flicker-free screen for eye comfort, the S2718D adds convenience to an already astounding visual experience." The screen is apparently only 6.9mm thick, the same as an iPhone 6! Spec wise the screen offers an IPS panel with 2560 x 1440 resolution, 1000:1 contrast ratio, 400 cd/m2 brightness, 178/178 viewing angles, 99% sRGB gamut coverage and 60Hz refresh rate. Interestingly the screen also offers a rare glossy screen coating. The stand offers tilt and swivel adjustments only, and a large portion of the electronics and controls for the screen are contained within the base to allow for the ultra-thin profile. USB Type-C (USB-C), HDMI 2.0 and a 3.5mm audio jack are provided for connectivity. Shown off at this year's CES event in Las Vegas, Dell have unveiled their new 32" class (actually the panel is 31.5") UltraSharp display with a whopping 8K resolution. The UP3218K has four times more content than Ultra HD 4K resolution and 16 times more content than Full HD in addition to 33.2 million pixels of resolution compared to a 5K monitor’s 14 million pixels of resolution. The 7680 x 4320 resolution offers 280 PPI for very fine detailed image quality. Clearly the screen is aimed at the professional market, and it also has a wide gamut backlight offering 100% Adobe RGB coverage, along with a 10-bit colour depth support. In other specs the screen offers an IPS technology panel from LG.Display, 1300:1 contrast ratio, 400 cd/m2 brightness, 178/178 viewing angles and 60Hz refresh rate. There are 2x DisplayPort 1.3 connections and 4x USB 3.0 offered. The stand has tilt, height, swivel and rotate adjustments. Dell imagines it being used in "commercial fields where in-depth image zooming is critical - such as photo and video editing, medicine and diagnostic research, and oil and gas exploration." The retail price is expected to be $4999 USD and should be available from 23 March. 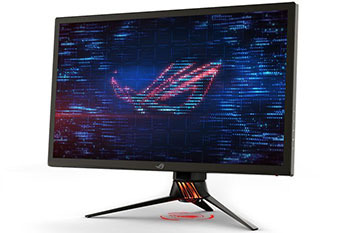 It might look like a wish list of all the latest features people are asking for, but Asus have just announced their forthcoming ROG Swift PG27UQ monitor, to be showcased at CES 2017 from January 5th - 8th. The screen offers an incredibly impressive spec and will be the first 4K (ultra HD 3840 x 2160) resolution screen to also support 144Hz native refresh rate. This is achieved through the use of the next generation DisplayPort 1.4 interface which allows support for the high bandwidth necessary to power this screen at that res/refresh rate. The screen is only 27" in size, and so the need for this kind of high resolution and 163 PPI is perhaps somewhat debatable, although it will deliver crisp images that's for sure. It does at least set the precedent that 4K @ 144Hz is possible though. Perhaps the real benefits for many will appear when we see larger screen sizes appear with 4K @ 144Hz. Keep in mind you will need an extremely powerful system and graphics card to run this kind of screen at this refresh rate and resolution, although NVIDIA G-sync is also provided to help where refresh rate drops lower. The PG27UQ uses a new version of G-Sync tuned for HDR in fact. High dynamic range refers to the screen’s ability to produce a broader range of brightness, colour, and contrast than typical displays. More specifically, the monitor supports the HDR 10 standard currently used by gaming consoles. The screen pumps out up to 1000 cd/m2 of luminance—around 3X the brightness of typical gaming monitors. That would be a bit overpowering spread over the entire screen, but the backlight is divided into 384 distinct zones. Selectively dimming zones maximizes contrast, allowing the monitor to mix piercing whites with bottomless blacks. Additionally, the PG27UQ will feature 'Quantum Dot' backlighting, offering a boosted colour gamut designed to deliver more vibrant colours for gaming. The PG27UQ supports the DCI-P3 color space commonly used by cinema projectors. The wider gamut is literally more cinematic than the sRGB standard for PCs, and more importantly, its palette has 25% more colours (i.e. 125% sRGB coverage). The Quantum Dot Enhancement Film (QDEF) helps to create deep saturated reds and greens out of the blue light produced by the 384 controllable LED backlight zones. First used on high-end HDR televisions, QDEF film is coated with nano-sized dots that emit light of a very specific colour depending on the size of the dot, producing bright, saturated and vibrant colours through the whole spectrum, from deep greens and reds, to intense blues. The following snippet is taken from the NVIDIA press release: "Created in concert with AU Optronics, G-SYNC HDR displays are designed with the latest technologies to deliver the ultimate gaming experience, with visuals that better match the capabilities of the human eye. 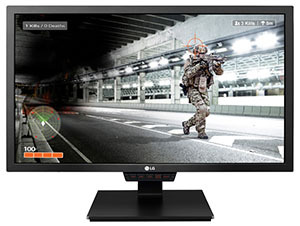 And unlike HDR TVs, G-SYNC HDR monitors were designed from the ground up for the ultimate PC gaming experience, with stunning image quality, tear-free and stutter-free G-SYNC smoothness, minimal motion blur, and near-zero input latency, compared to the 22-41ms of latency added by recommended HDR TVs. 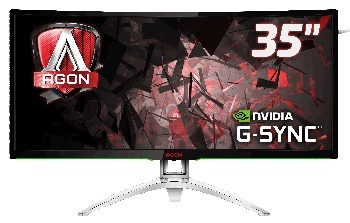 In addition, G-SYNC HDR monitors stand further apart from other HDR displays through the implementation of full array 384-zone backlights, and cutting-edge Quantum Dot technology." As you might hope, the screen is based on an IPS-type panel (believed to be the AU Optronics prototype shown off in June 2016) which delivers stable image quality and wide viewing angles. The screen features dual DisplayPort 1.4 interfaces and an additional HDMI. The stand offers a full range of tilt, height, swivel and rotate functions and there is built in AURA RGB lighting also. No word in the current information whether the presence of G-sync means that ULMB will also be offered, although the screen certainly supports a native refresh rate high enough to make this likely. It’s scheduled to arrive in North America in Q3 for around $2000 USD (corrected price) according to Asus, although there's a good chance of delay to that we would expect, so we anticipate Q4 most likely. Update 3/4/17 - We now know the panel part number for this screen which will be the AU Optronics M270QAN02.2 AHVA (IPS-type) panel. The AU Optronics roadmap reveals mass production is expected for this panel from July 2017 so a Q3 release date for this screen is still possible. Centre to this development is HDR support. As Brandon Chester over at Anandtech has discussed more than once, the state of support for next-generation display technologies under Windows is mixed at best. HiDPI doesn’t work quite as well as anyone would like it to, and there isn’t a comprehensive & consistent colour management solution to support monitors that offer HDR and/or colour spaces wider than sRGB. Recent Windows 10 updates have helped a bit, but that doesn't fix all the issues and obviously doesn't account for gamers still on older operating systems. Windows just doesn’t have a good internal HDR display pipeline and so this makes it hard to use HDR with Windows. The other issue is that HDR monitors have the potential to introduce additional input lag because of their internal processors required. 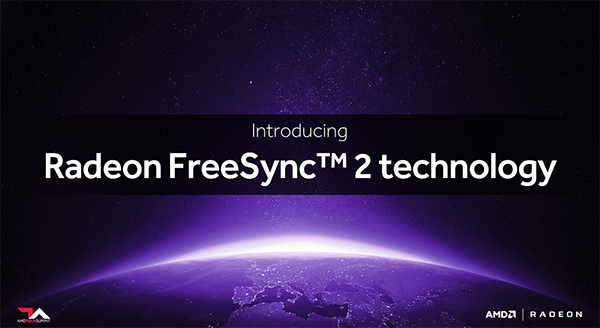 Additionally AMD has tightened the standards for FreeSync 2. 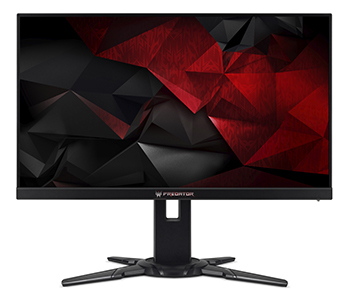 Now all certified monitors will be required to support Low Framerate Compensation (LFC), which in turn means they’ll need to support a wide enough range of refresh rates to meet the technology’s requirements. 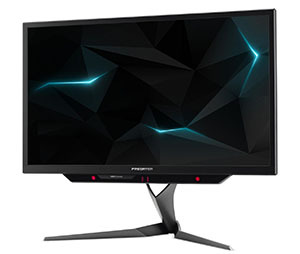 Consequently, anyone who buys a FreeSync 2 monitor will be guaranteed to get the best variable refresh experience on an AMD setup, as opposed to the less consistent presence of LFC on today’s FreeSync monitors. 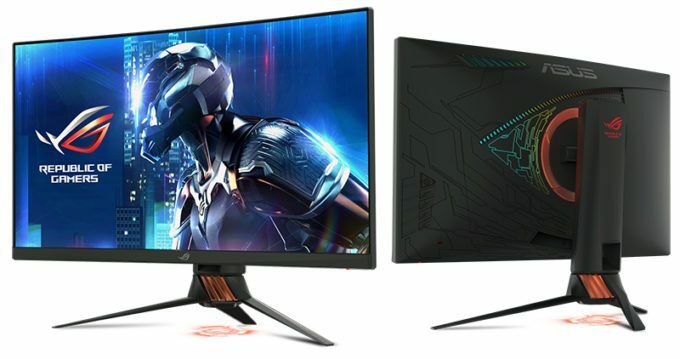 AMD are also pushing to ensure FreeSync monitors perform with low latency and lag in both SDR and HDR content, which will be a welcome improvement for gamers. Because all of AMD’s FreeSync 1-capable cards (e.g. GCN 1.1 and later) already support both HDR and variable refresh, FreeSync 2 will also work on those cards. All GPUs that support FreeSync 1 will be able to support FreeSync 2. All it will take is a driver update. AMD is not setting any firm release dates and is not announcing any monitors at this time. They are only announcing the start of the FreeSync 2 initiative in general terms. They still need to finish writing the necessary driver code and bring on both hardware and software partners so it's likely to be a fair amount of time before it is properly introduced and available. We've already seen a few 24.5" sized models announced in recent months featuring the new generation of 240Hz refresh rate TN Film panels. This includes Acer's own forthcoming XB251HQT display. We know from our High Refresh Rate roadmap article that AU Optronics also had a 27" sized panel in plan which would follow a little later, and Acer are the first now to announce a display featuring this larger panel option. There are a couple of new models announced. First, the Predator XB252Q will offer another choice in the 24.5" size, while the Predator XB272 will represent the first available 27" option. Both offer a 1ms G2G response time along with the native 240Hz refresh rate TN Film panel. They are combined with NVIDIA G-sync and support Ultra Low Motion Blur (ULMB) as well. Both sport a 1920 x 1080 resolution, which some may find a little low in the 27" size for day to day use, but should be fine for a lot of gaming. The panels also offer a 1000:1 contrast ratio, 170/160 viewing angles and sRGB gamut. Both screens offer tilt, height, swivel and rotate adjustments from the stand along with DisplayPort 1.2a, HDMI and 4x USB 3.0 connections. 2x 2W speakers are also built in. The XB252Q and XB272 will be available from February at an expected retail price of $549.99 / 599 Euro and $679.99 / 699 Euro respectively. Picking up the CES 2017 "Best of Innovations" award, Acer are showcasing their new Predator Z301CT monitor at this year's event. This is a 21:9 aspect ratio ultrawide screen which features new Tobii eye-tracking integration helping gamers intuitively aim, shoot and explore. This Tobii eye-tracking is designed to complement existing PC gaming inputs as opposed to replace them, using the gamers eye movement to create new input modality. Pairing this with mouse, keyboard or gamepad controls gives gamers a richer, more immersive experience as they are able to mimic actions that occur in real life, such as looking for cover or aiming at a target. Camera angles also automatically rotate as the gamer's eye focuses on the end of the screen, while characters and game environments react as the gamer looks around. Tobii eye tracking functionality can be found in over 45 titles like Elite Dangerous, Deus Ex: Mankind Divided and Watch Dogs 2. The games' sounds and graphics will dynamically adapt depending on where the gamers look. Focusing on the rest of the monitor now, the screen is 30" in size and offers a 2560 x 1080 resolution and 1800R curvature. There is a 200Hz refresh rate, 4ms G2G response time and supports NVIDIA G-sync. ULMB is not listed in the press release however. There is also a 3000:1 static contrast ratio, 178/178 viewing angles and an sRGB gamut. This is based on an AU Optronics AMVA (VA-type) panel. The stand offers tilt, height and swivel adjustments and there are also 2x 3W DTS sound speakers built in. DisplayPort 1.2a, HDMI and 4x USB 3.0 connections are offered. The Z301CT should be available around February with a retail price in USA of $899.99, and in Europe of 899 Euro.